The final touch was added to the Sgt Pepper's Lonely Hearts Club Band during this session: the gibberish sounds which filled the run-out groove of the vinyl record. First of all, however, 11 mono mixes of George Harrison's Only A Northern Song were made. Two four-track tapes had been filled: one with organ, bass guitar, trumpet, glockenspiel and drums, and another with organ, vocals and other assorted noises. Two tape machines therefore needed to be synchronised, a process that had previously been used during the recording of A Day In The Life. 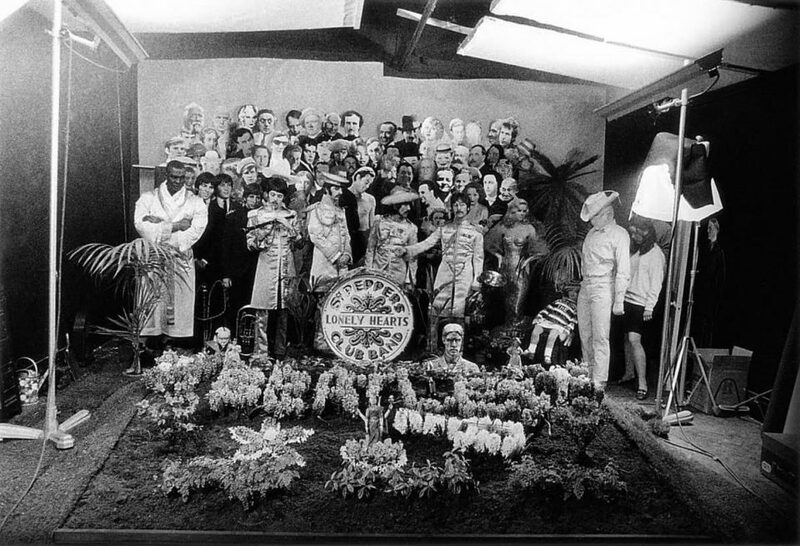 Once the mixes were complete, attention returned to Sgt Pepper. The Beatles stood at the studio microphone and babbled nonsense on each track of a two-track tape, which was subsequently cut up and re-edited with some parts reversed. On 21 April everyone in the studio recorded the run-on spiral for the album, about two seconds’ worth of sound. It was a triple session – three three-hour sessions – which ended around 4am. The Beatles stood around two microphones muttering, singing snatches of songs and yelling for what seemed like hours, with the rest of us standing round them, joining in. Mal [Evans] carried in cases of Coke and bottles of Scotch. Ringo was out of it. ‘I’m so stoned,’ he said, ‘I think I’m going to fall over!’ As he slowly toppled, Mal caught him and popped him neatly in a chair without a murmur. In the control room no one seemed to notice. A loop was made from the tape of the muttering and was mixed, but not without some altercation between John and the tape operator. The album was cut by Harry Moss, and required several attempts before the sound appeared precisely in the run-out groove. The intention was for the sound to loop and be played ad infinitum, preceded by a 15 kilocycle pitch intended for dogs. Neither the test tone nor the loop of gibberish – known as Edit for LP End on the tape box – was used on the first North American pressings of Sgt Pepper's Lonely Hearts Club Band. It was eventually issued as part of the Rarities compilation, with the title Sgt Pepper Inner Groove. Just a quick note: I wrote to Melody Maker’s letters page stating that the inner groove should be played backwards to make sense of it (you could do this by spinning it backwards on the turntable) and that when this was done the message was “every man is superman” a reference to the philosopher Nietzsche. The first letter in the letters page received a prize of several pounds; mine was the second letter published on the page, so no prize, but a place in history. I have read this account several times and something has struck me. The Official date for the last day of recording for Sgt. pepper’s is 4/21/1967. All accounts say that the 4 Beatles stayed Past midnight recording the final run-out track. Which means the final day of recording was the wee hours of the 22nd. There are also different grooves on different pressings. I have copies of a fifth and sixth, and there is a distinct gap on the fifth pressing, while the sixth has extra vocalising filling the entire groove.